Last week I posted a SlideShare slide presentation to highlight the topic of my post, and one of my readers asked me how I made this slide show. SlideShare is a presentation sharing site that was founded in October 2006, and which now receives 60 million visitors per month. On November 2012 they hit a record of 159 pageviews for that month and their average is about 130 million monthly pageviews. It’s one of the 200 websites most visited in the world. Needless to say that being on SlideShare is not a waste of time. Since last week by doing absolutely nothing, but posting my one short slide presentation I’ve got 26 followers and 159 views. And again I’ve absolutely didn’t even try to do any kind of connections yet. This tells me that by keeping on posting and actually getting involved with this thing tool, could bring me tons of positive results. Interestingly, I was introduced to SlideShare over two years ago, but I after I posting a couple of slide presentations I kind of forgot all about it, and never used it again since last week. Another excellent feature about SlideShare is that it ranks really well on search engines. What can you Share on SlideShare? You can upload PowerPoint documents, PDF documents, videos and webinars. Once you’ve uploaded your document on SlideShare you’ll be able to share it anywhere like media platforms such as Twitter, Facebook and LinkeIn. You can share you slide presentation on your blog like I’ve done right, and any other Web 2.0 sites that you may be using. In order to share it on your blog, all you have to do is copy and past the embedded HTML code just like for a video. SlideShare offers a quick and easy way to share quick tutorials and ideas that you put together, and it’s a great way to promote you and your online business. There is no limit to the type of creative slide presentations you can share on SlideShare, and you have the potential to reach millions of people with it. Want to see it as well? Then just watch the video! Slide share is addictive, and I love it. I have now tons of ideas that I want to put on SlideShare. So, be watching for it if you’re curious. If you enjoyed this or learned something, please, let me know in the comment area. 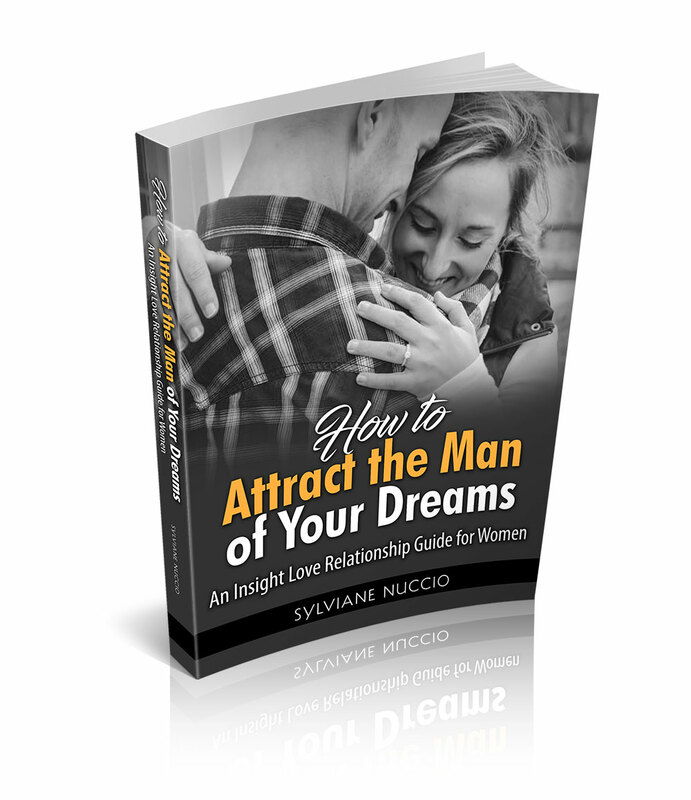 Sylviane Nuccio is a professional Writer/Content Strategist and a Success Coach. 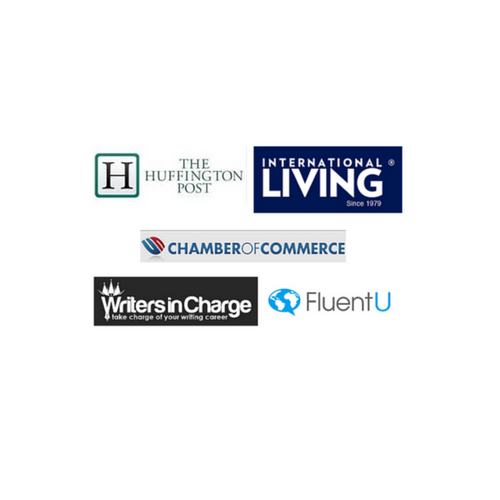 She is a regular contributor to Huffington Post, International Living and Chamber of Commerce. She helps new entrepreneurs to become financially free. Traditional Marketing VS Digital: What is Best for Your Company? Next articleWhy Do You Need To Create A Portfolio? Wow, thanks for this idea. Yes, a recipe with step pictures, what a great idea! I had not thought about it. I love SlideShare and it’s an easy way to promote your business and you. I was shocked how how many views I had on that little slide show that I did last week. I didn’t do anything for it, but uploaded it there. I didn’t even like any other slide presentation yet, or anything. You should try it. I’m sure you’ll love it 🙂 I sure will do more of them. Lot’s more! That was a great tutorial on creating a slideshare presentation Sylviane! I haven’t created one in years, okay it seems that long. I use to do those as another Web 2.0 property to get backlinks to my blog. I just never shared them on my blog but I know that there are so many people who prefer to learn differently so to give them all these different options is really the smartest way to go. It’s a lot of work though. Thanks though for this tutorial, you make it look so easy! Hey, enjoy your week okay! See you later. Adrienne invites you to read..Are You Maximizing Your Blog Income Potential? I know what you mean. I hadn’t posted on there for over 2 years either, but as I used SlideShare last week I couldn’t help but see how it attracts visitors rather fast. 159 views in less than a week for my little last week slide. I thought, cool! So, I’ve got addicted now and Carol Lynn just gave me the idea to post recipes on slides. I love it and will do it! Thanks for your visit and have a great week too! Great post with much need info yet again Sylviane. Have recently seen presentation from Ana and ZAc. Would surely love to prepare one and share, too. Thanks and regards. I’m glad you enjoyed this and hope you’ll try it. It’s a lot of fun and attracts visitors rather easily. Sylviane, I have heard good things about slideshare. It seems like everyone is using one nowadays. You demonstrated a well organized way of creating a slideshare. I appreciate you showing how it is done. Yes, you should be using this tool too. I think it’s great to promote yourself. And I love the idea of embedding it in our blogs, definitely an eye-catcher. I love SlideShare. I think it’s a great tool, and as you said definitely an eye catcher. I’m glad you enjoyed this. Thanks for bringing to to my attention. I had no idea Slideshare could be such a great resource for traffic. Someone suggested researching the site for content ideas…. I like your idea better. Well, I guess it’s great for content idea as well, but it’s certainly not the only or main reason I would use SlideShare as it is a excellent traffic source indeed. Thanks for coming and for your input. Glad to see you are using it Sylviane. Very nice and clean too. I love using SlideShare and have seen some traffic from it. i really like how you did a video for YouTube with it too! You are right that it can be addicting making them. I love to get creative at times. Lisa invites you to read..Blog Categories – Are Yours Precise or a Mess All Over? I know about this tool for over two years, but I haven’t used it but once or twice. Now I wish I did. But in any case I will be using it from now on. I have to check more of yours out 🙂 Thanks for coming, Lisa. 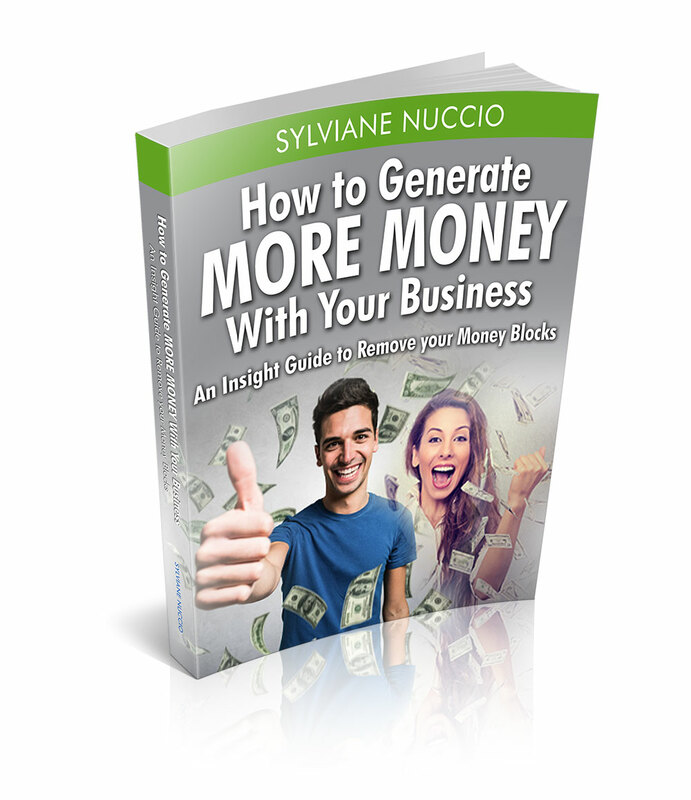 Hi Sylviane, Wow, I had been hearing about SlideShare, but hadn’t learned about it yet. Not only did you tell me what it was and why I should use it, but also how to do it. Very cool! Loved the video that explained so clearly how to use SlideShare. I will have to give it a try. Thanks so much for these great tech tips! Carolyn invites you to read..Hang w/ – Who Knew the World Was This Much Fun? Yes, you should definitely give it a try. I love SlideShare and it gets traffic like crazy. My video is not great as my camera was a bit acting up, but I guess people got the point. I’ve been aware of this tool for a while, but fail to use it, but I am definitely back with it and will use it regularly now. I heard about Slideshare and seen so many presentations using it but I thought it is much more complicated that it really is. It looks like a great tool that’s worth a try and the nice thing also is that it can be embedded in the blog. Also, thanks for the video tutorial. You really made it sound very easy and fun. You really did a great job explaining it Sylviane and BTW, I love your accent. Thanks Sylviane for this great share. Well here I am finally replying to some over due comments. Trust me it’s very easy to make presentations and uploading them on SlideShare and anybody can do it. I hope you’ll try it. It’s great for exposure and traffic. I have heard about Slide Share, and, well you know how it is….You hear about something and NEVER get around to seeing what it’s all about. Here, you gave such a powerful instructional video. I thank you Girl! I can see the power of presentation with this, especially on our blogs. I’ve been using Keynote for my product. I was meaning to do that kind of blog post, but never got around to it. I see that Slideshare is not only more user friendly, but very pretty too! I do feel that this form of communication is an essential part of our business. People get tired of reading pillar posts and this is a great way to get reader’s interests. Now that you have done the excellent job of explaining how easy this is to use, It is on my to-do list. Yes, you should try SlideShare. It’s easy and it does a great job in attracting traffic for sure. I hope you’ll try it. I’m sure you will enjoy this tool. Do you mean that you haven’t got traffic from your slideshare presentation on SlideShare? If it’s the case, it could be due to lots of different reasons, but for me it has worked on it’s own, and I going to get much better and smarter with it and really try to drive traffic with this thing. Or maybe you were talking about something else. Thanks for showing me how to use slideshare. Very helpful! I will start creating my slideshare immediately. Great blog got to tell you, I’ll subscribe as soon I found that button, I like wp subscription or aweber,, getresponse but could not find any neither in your Feedburner. Thanks for this slideshare tutorial too. As a tip: I think you could cut 3 categories. I have a big orange feed button on my side bare with the rest of my social buttons. Is that what you were looking for? Just coming from your last post and seen you did a Slideshare slideshow too 😉 That’s a really cool move. Introduced over two years ago? 🙂 Gosh… I’ve been introduced by Lisa and I’ve seen how she doing with slideshows too. Pretty interesting for bloggers as those who can’t afford to make videos. Now interesting stats being revealed here. Slideshare gained more attention since it comes under LinkedIn and popularity grows everyday. I can see a lot of potential there 🙂 Now why shouldn’t we? We MUST. How about using your painting in slideshow Sylviane? 😉 May be you will, nah? Hi Mayra and nice to see you back. I haven’t come see you in a while because I’ve been so busy, but I will tomorrow for sure. I’m glad you like my slide presentations, and more will come. Slide share seems to be gaining in popularity. I’ve been getting quite a few emails with businesses sharing their slide share creations. It’s another great way to get your business noticed. Now, that’s a great idea to send this in a commercial email. Another great tip. Agree with Adrienne, you make it look easy! that only requires one other plugin to pair it with! and details what to check and why! so will have to improvise for the slices…have the free Open Office so I might be able to improvise! Was trying to remember how to do this. I have almost mastered making slides with OpenOffice so was ready to do a slide share for an article I’m writing. I so appreciate this post and your work. Especially the very instructive video. Again, Thank You for sharing with me! nice article i m visiting first time at your blog , it is very impressive. thanks now i will also create slide share on my own!!!! I saw these a year ago and never really took a second look until I saw someone use one for his client. Not only was it shared a ton of times, but his client really loved it. I love the one you shared and I can’t wait to create one for myself. Thanks for the tutorial and making it so easy for us. Well, I can’t wait to see the ones that you are going to make. It takes a little bit of time, like anything else, but it’s well worth it, because people love those slideshares and share them like crazy. Another source fo traffice, right? I really enjoy the slideshare and I think it is really cool.I use to be more creative with slideshare in coming days. Thanks for this great share.Have a great week ahead. Slideshare looks a great resource, thanks. I have a PowerPoint document and was wondering what to do with it…. Now I know. Although for various reasons that’s a longer-term project. However, you’ve also given me some ideas that could be implemented earlier. Thanks for letting me know about this. Are You Considering to Become an In-House Legal Counsel? What Is Content Marketing For Small Businesses?